Complimentary with his noxious strategy of saving the planet by purging it of free enterprise and using the power of government to silence the skeptics is Whitehouse’s other great political cause: denouncing so-called “dark money” in politics. Here, too, a close inspection reveals Whitehouse’s public principles seem to fare poorly when in contact with his personal interests. If the phrase ”dark money” means anything within the context of political spending, then it should apply to the Environmental Defense Action Fund—the advocacy arm of the Environmental Defense Fund (EDF). According to the Center for Responsive Politics (CRP), EDF’s political attack dog spent nearly $4.8 million during the 2018 election biting Republican Congressional candidates and promoting Democrats. Nevada Sen. Jacky Rosen, a Democrat added to Whitehouse’s Senate caucus in 2019, owes her victory in some measure to the $532,000 spent by the Environmental Defense Action Fund to attack her opponent—incumbent Republican Sen. Dean Heller. CRP defines the Environmental Defense Action Fund as an “outside spending group” that “does NOT disclose its donors to the FEC or to the public.” It was the fifth-biggest non-profit election spender during the 2018 election cycle. Additionally, pro-Democratic non-profits with zero or nearly zero donor disclosure also occupied slots for biggest such spender on CRP’s list (Majority Forward at $41.7 million) and fourth-largest (Patriot Majority USA at almost $5.7 million). But for Whitehouse, hidden donors who sponsor climate alarmism and hostility to the free market are the good guys. 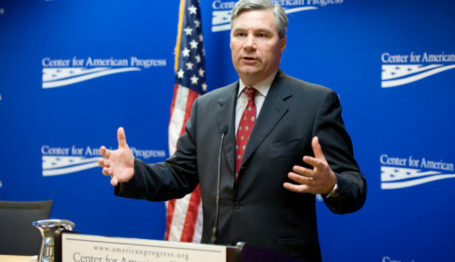 In his Senate speeches he has repeatedly and generously cited EDF as part of the “armies on our side” providing “constructive work” that he appreciates. So when he rails on C-SPAN against “dark money” organizations with “phony fronts” and “phony names,” the names that drip like acid from his tongue are free enterprise champions such as the Competitive Enterprise Institute, the American Legislative Exchange Council, and the John Locke Foundation. Most of these targets don’t even have a political advocacy arm, let alone one with the multi-million-dollar “dark money” muscle of the Environmental Defense Fund. But leaving aside the double standard regarding which so-called “dark money” organizations should be supported or shamed, it is deeply un-American to denounce anonymous political speech at all. It doesn’t matter whether the undisclosed donors are paying for the politically-correct causes Whitehouse adores or the economically-correct ones he loathes. During the Civil Rights Era the state of Alabama tried to force the National Association for the Advancement of Colored People (NAACP) to disclose its donor list because state politicians opposed the civil rights organization’s support for the Montgomery Bus Boycott and other projects promoting racial equality. Correctly recognizing that revealing names would leave donors unprotected from public harassment (or even violence), the NAACP refused to turn over the lists. The U.S. Supreme Court ultimately upheld its right to anonymously defend liberty. Similarly, fearing retribution from King George III, Thomas Paine disguised his authorship of Common Sense. Alexander Hamilton, James Madison, and John Jay later used the pen name Publius to hide their roles in writing most of the Federalist Papers. Protecting anonymous political speech is most critical when elected officials or other powerful forces are opposed to the message. 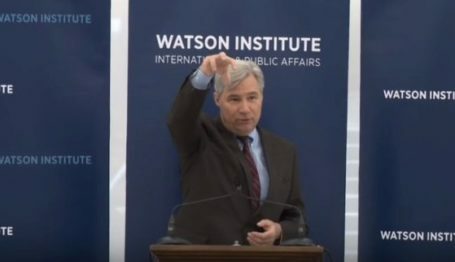 It’s how we all can stand up to bullies like Sheldon Whitehouse. But there is a form of “dark money” Americans should want denounced. It occurs when politicians appear to financially profit from the otherwise hidden (dark) information they pick up while they’re supposed to be working for the taxpayers. Whitehouse’s name comes up a lot with this issue. In his 2014 book Throw Them All Out, investigative reporter Peter Schweizer recounts a September 16, 2008, meeting about the looming financial crisis in which Federal Reserve Chairman Ben Bernanke and U.S. Treasury Secretary Henry Paulson told members of Congress that financial markets (which had not yet collapsed) were in big trouble because cracks in the economy were much deeper than the public yet knew. Within eight days of this meeting, according to an analysis from Business Insider, Whitehouse’s stock portfolio sold off between $250,000 and $600,000 of its assets. As markets crashed over the next month, Business Insider estimated this spared Whitehouse loses of between 15 and 35 percent (depending on the asset). 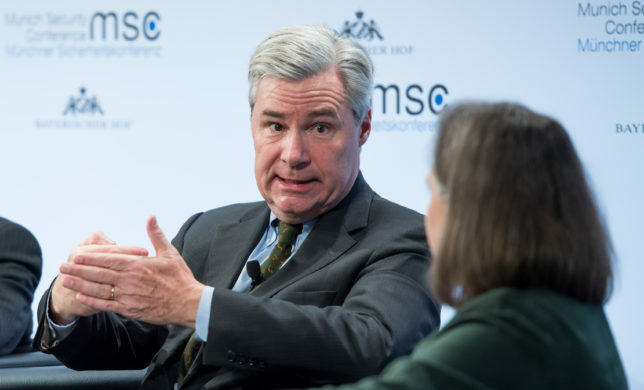 The senator’s staff responded by crediting Whitehouse’s stockbroker, saying Whitehouse wasn’t involved in managing his own money and had not taken advantage of “exclusive or secret information” to advise his broker to sell. This broker’s mad skills at timing politics with investments would continue. A May 2017 investigation from Politico revealed the stock portfolios of Whitehouse and his family purchased tens of thousands of dollars in stocks from at least three pharmaceutical firms as the bill was working its way through Congress. Reporting on the same incident, Kaiser Health News stated Whitehouse may have purchased upwards of $60,000 in shares of just one of the firms: Gilead Sciences. These purchases occurred ahead of the public announcements of important political advances for the bill that Whitehouse, as a lawmaker close to the process, could (and arguably should) have known about before a general investor would have. Specific examples cited by Politico included Whitehouse purchasing drug company shares ten days before the public introduction of a major bi-partisan agreement on the bill, and then more purchases two days before the U.S. House voted to approve the agreement. Politico reported Whitehouse and his family accounts began selling off the pharma stocks in the days just after President Obama signed the 21st Century Cures Act into law on December 13, 2016. 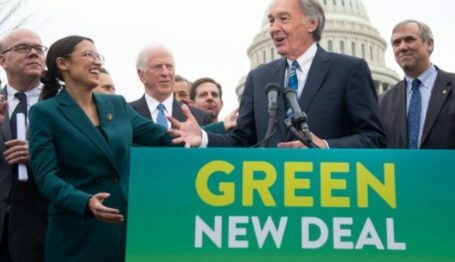 In the conclusion of The “Green” Whitehouse Agenda, learn how Sen. Whitehouse has personally benefitted from his alliance with radical environmentalists.